At the main ISAT building the President was given a brief history of the facility, which dates back to 2002 when it was known as the International Military Advice and Training Team or IMATT. 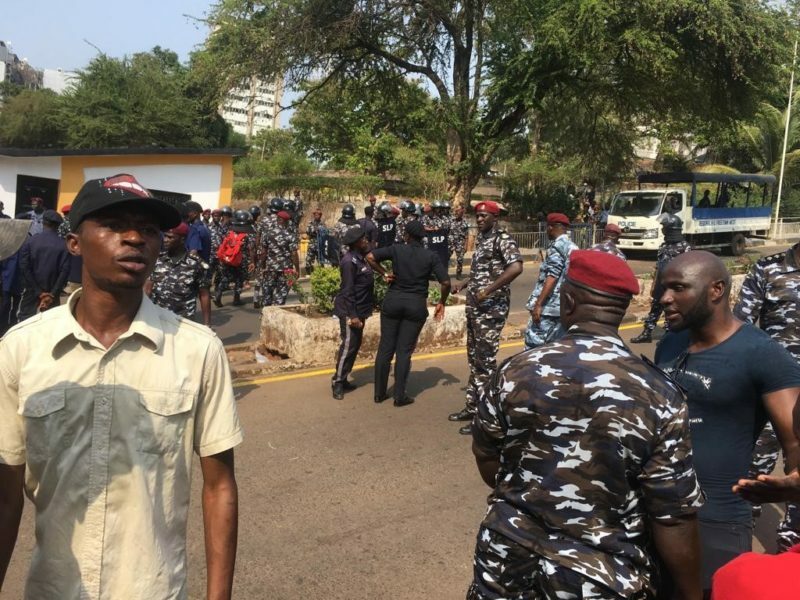 Since the end of the civil war, the UK has invested heavily in the security sector in Sierra Leone to support stability, build resilience in the region, and shore up the foundations for development and mutual prosperity. The President also visited the Horton Academy, the site where UK training is helping to build military and wider security sector capacity. The Academy is named after Africanus Horton, a Krio African nationalist writer and medical surgeon from Freetown who served in the British Army. 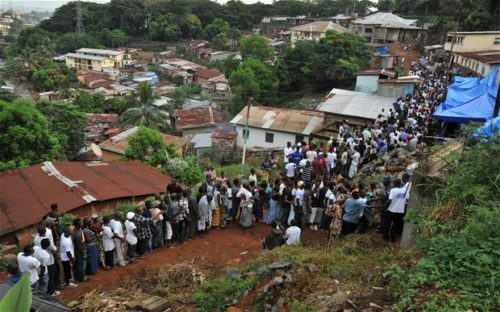 The UK-funded ISAT delivers advice, technical assistance and training to help the Government of Sierra Leone address some of the greatest needs in the security sector. ISAT’s priority themes include professionalism and accountability, human rights compliance, readiness for deployment on peace support operations and security sector coordination. The team consists of British civil servants, serving military, and police officers. Where appropriate, ‘train the trainer’ methodology is used to ensure sustainability. 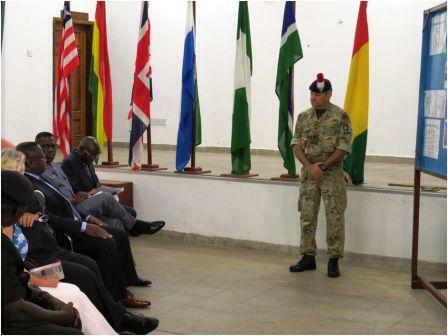 The President was briefed on ISAT’s support to the Republic of Sierra Leone Armed Forces (RSLAF) on readiness for peace support operations and the professionalisation of the Office of National Security. 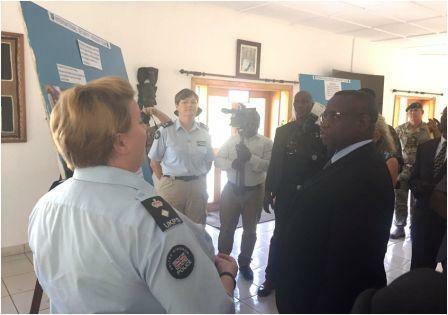 Briefings also included ISAT’s focus on maritime security, including to improve protection of fisheries, and ISAT’s role in improving community confidence in the police and in proportionate use of police powers. 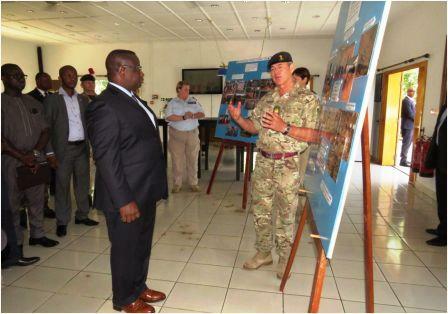 The UK’s Defence Advisor invited His Excellency to the VIP day at the joint Sierra Leone/UK jungle warfare training ‘Guma Sun’, which he agreed to attend later in November. 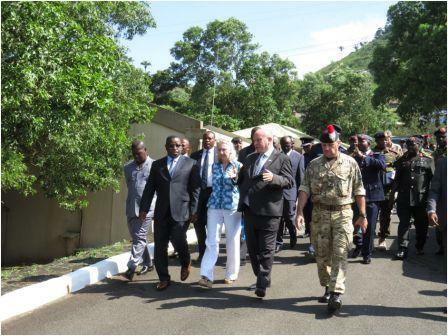 British High Commissioner Guy Warrington said of the visit: “It has been a real pleasure to welcome His Excellency the President to the ISAT base. This facility is a clear indication of how invested we are in Sierra Leone and how keen we are to see the continued development of the Sierra Leonean security sector, for the benefit of the whole of Sierra Leone. 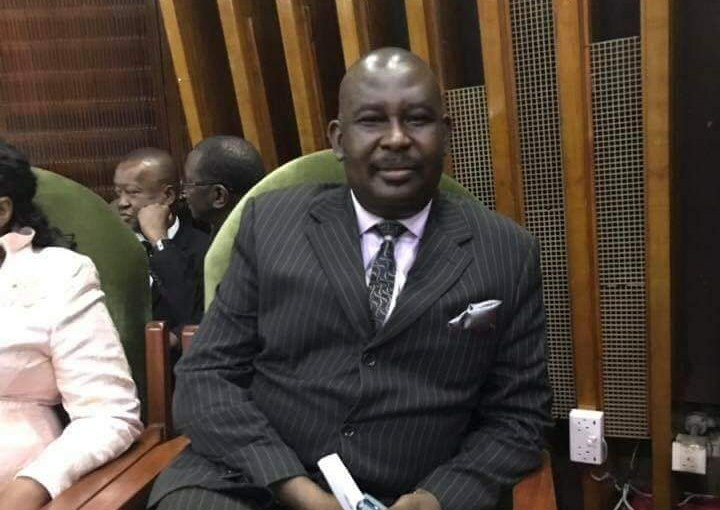 We will continue to work closely as we move from partnership on security sector reform towards ownership by the Government of Sierra Leone”. His Excellency the President said: “I thank the UK for their support to our security sector, and on their wider support around quality education, good governance, health care and private sector development. I am committed to supporting ISAT in the continued development of Horton Academy as a properly established military and academic institution.” Chief Minister Professor David Francis added: “Horton Academy has a bright future”.